Unless you’ve been living under a rock, you have definitely heard of dental implants – the cutting edge new kid on the block of tooth replacement. It might be a bit ambitious to refer to implants as ‘new’ owing to the fact that this option has been around for over 30 years. However, it is only recently that their popularity has skyrocketed. More people are choosing to forego dentures and bridges for implants, and with good reasons. Modern implants have been in use for about 30 years, and rank among the most successful surgical procedures. The success rate for implants is 95 percent, with most people who get them going on to use them for the rest of their lives. Nearly 70 percent of Americans aged between 35 and 44 require at least one dental implant. This is another way of saying that about seven out of 10 Americans between the ages of 35 and 44 have lost at least one tooth. Implants are the most aesthetically pleasing of all tooth replacement options. Keep in mind that the crowns attached to the titanium root are custom made. This means that your implant will feel right at home with the rest of your teeth. Titanium is used to make the artificial root of the implant. Titanium has a special property and that is the fact that it can fuse with bone. This allows is to integrate into the jaw bone and become part of your dentition. This property was discovered by Dr. Branemark, a Swedish physician who is touted as the father of modern dental implantology. When you get implants, you will never have to worry again about tooth decay. This is not to mean that you should neglect your teeth since they are not susceptible to decay. It is important to brush and floss your teeth so that your adjacent teeth can remain healthy and free of cavities. The surgery required for dental implantation is minimally invasive. The prospect of surgery is a frightening one for most people. Fortunately, dental implantation is a simple surgery conducted under local anesthesia. 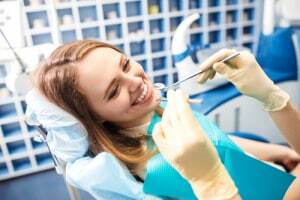 If you are afraid that you will experience nervousness and anxiety during the surgery, you can talk to your dentist about the sedation options available to you. Ask your dentist if they are certified to perform dental implantation. The certification is offered by the American Academy of Implant Dentistry (AAID). Before you get implants, your overall health must be assessed to determine if you qualify. There are certain health conditions that would interfere with the healing of implants, and as such you have to be carefully examined and given a clean bill of health. While implants are considered relatively expensive compared to other tooth replacement options, it is important to consider the long term cost implications of choosing other options. Also, discuss with your insurance company what your options are as far as implantation costs are concerned. It will take you about 6 months before you’re implants are considered completely healed.